The new Hyderabadi Irani menu has three sections – Hyderabadi special items, desserts, and bakery items. There are also combos presented for those who want a quick meal. The special items list starts with Varqi Lukmi, the square shaped stuffed patties which have either mutton mince or vegetable as fillings and are crispy fried. Served with two delicious chutneys, the lukmis were some of the better ones I have had, especially the mutton variant. 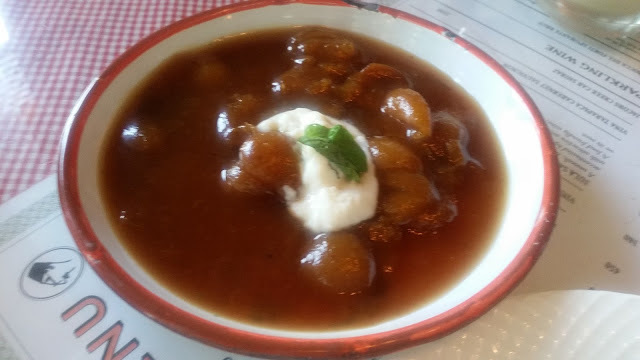 Hyderabadi Nihari is different from its counterpart up north, and SodaBottleOpenerWala serves it with either paya (lamb trotters) or jaban (lamb tongue). 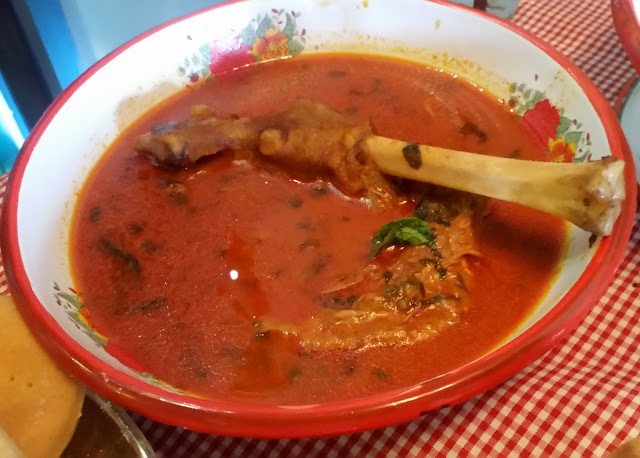 The slow cooked broth had absorbed the masala well and went well with the square shaped Hyderabadi naans. A thought just crossed my mind that maybe, the restaurant can think of serving a typically Hyderabadi breakfast with this dish, kheema, gurda etc. Next was the turn of Marag, a curd based mutton shorba popular in Hyderabadi weddings. The mutton was tender and soft naans dunked in the light soup tasted delicious. 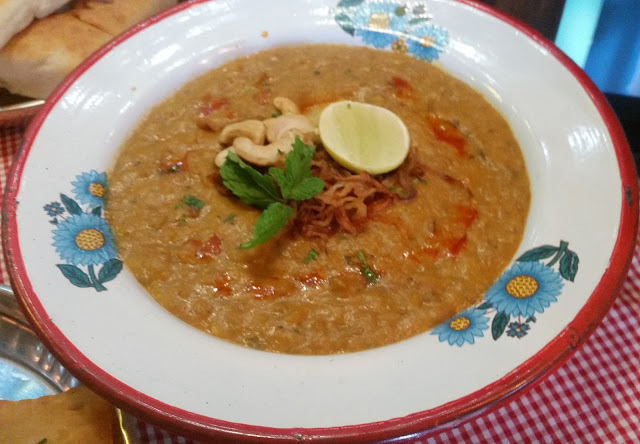 The Haleem served here is quite superior from those we get in the commercial establishments during Ramzan. 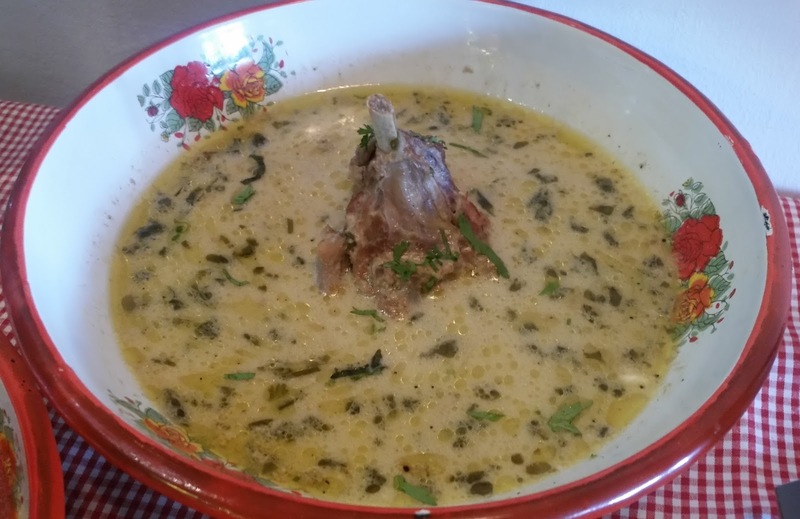 The recipe is from Hyderabadi homes, as is most of the other items on the menu. The management of the restaurant had an internal trial with Hyderabadi families for a long time to perfect the recipes. I am happy that now we can get Haleem both for lunch and dinner, round the year at Jubilee Hills. 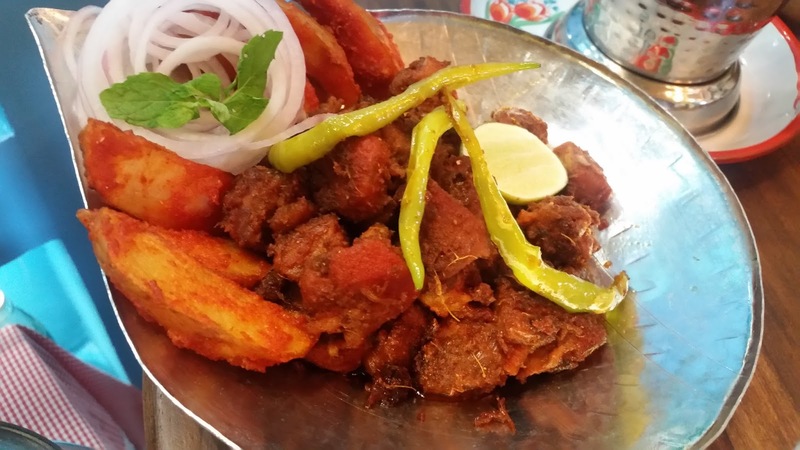 Bagara Khana with Kaddu Ka Dalcha is a popular combo in the Pearl City. The thick bottle gourd and lentil gravy worked wonder with the flavourful masala rice. I also love combining this Bagara rice with Dum Ka Murgh, a smoky preparation of chicken tastefully served in a handi here. Comfort food in Hyderabad is Steamed Rice with Khatti Dal, a sour and dilute lentil preparation. Based on your taste buds order some Tala Huwi Arbi (Fried colocasia with basic masala sprinkled on top) or Talawa Gosht (the spicy and delicious boneless lamb preparation) to go with these. The Tala Huwi Arbi here for me was a star. 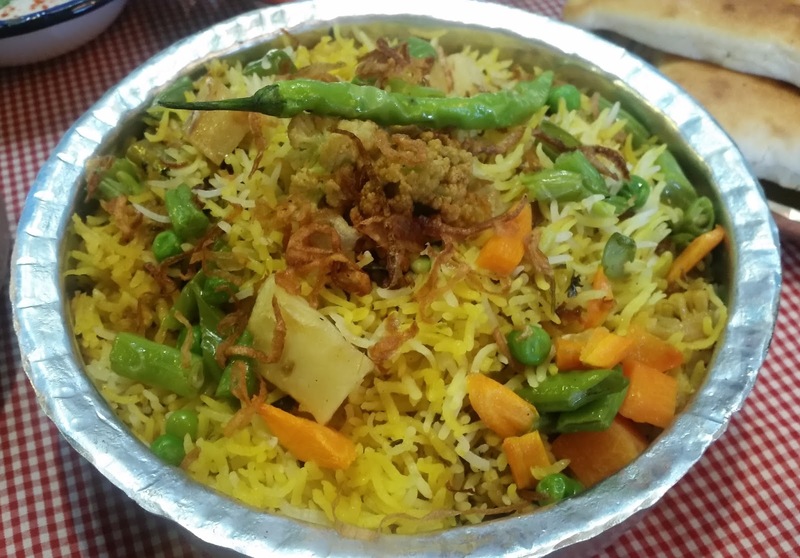 Finally, the omnipresent Hyderabadi Biryani. 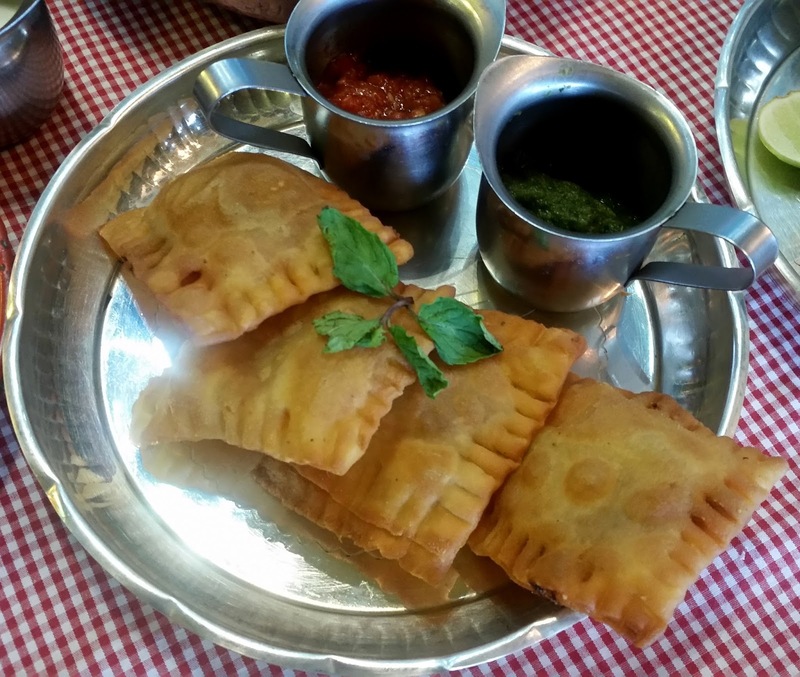 SodaBottleOpenerWala serves both mutton and vegetarians versions of the same. Again a home recipe based preparation, it was less spicy but flavourful. I also loved the tomato rich Salan served with it. The Dahi Ki Chutney was also more of the shaadi variety, much thicker than what you get in Irani hotels. 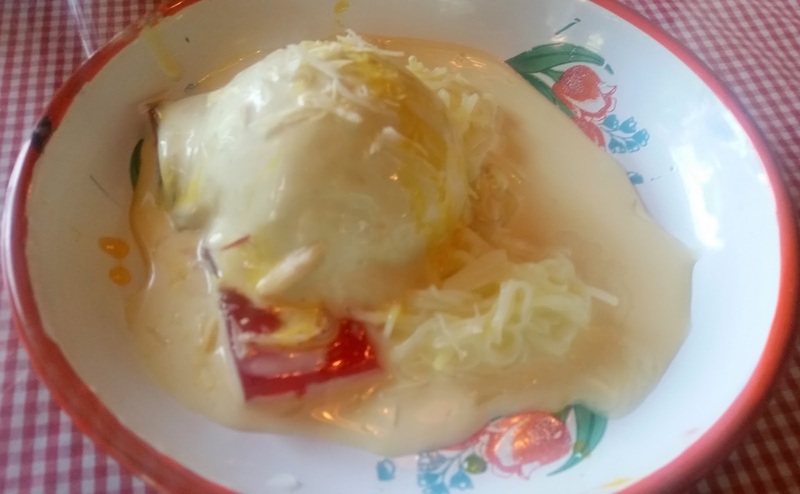 The desserts menu has Qubani Ka Meetha, the apricot dessert and Kulfi Falooda, shredded vermicelli in kulfi. Both the desserts were very decent. Could not help but notice that the other signature dish Double Ka Meetha is missing. The bakery section of the menu serves cookies and sweets typically available in Hyderabadi Irani joints such as Osmania, Chand biscuits, and Dilpasand. Overall, I really enjoyed the food. I am happy that we do not have to travel to Charminar or Tolichowki any longer to try out things like Marag or Nihari. Also, the pricing of the dishes is quite attractive given the ambience of the place. A lot of care has been taken to make the dishes taste as authentic as possible. 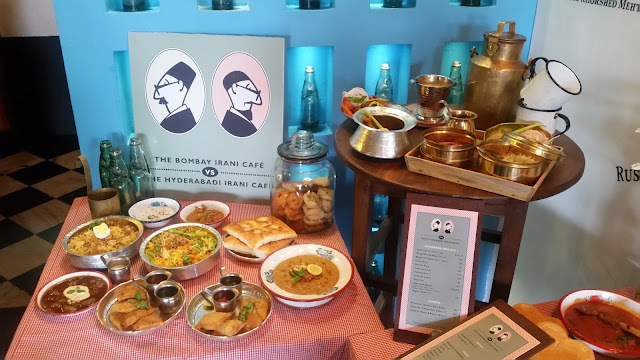 I hope the menu is also introduced in other outlets of SodaBottleOpenerWala outside Hyderabad, as it will help in showcasing authentic Hyderabadi cuisine in different cities. Disclaimer: The review is based on an invite by the restaurant.